Girls as young as eight are feeling the effects of the gender wage gap , with boys receiving more pocket money than their sisters. UK bank Halifax surveyed more than 1,200 British children aged between eight and 15 and 575 parents about pocket money – with surprising results. Boys receive an average of £6.93 ($10) per week, while girls get an average £6.16 ($8.89) each week. That’s 12% more going into boys’ pockets. 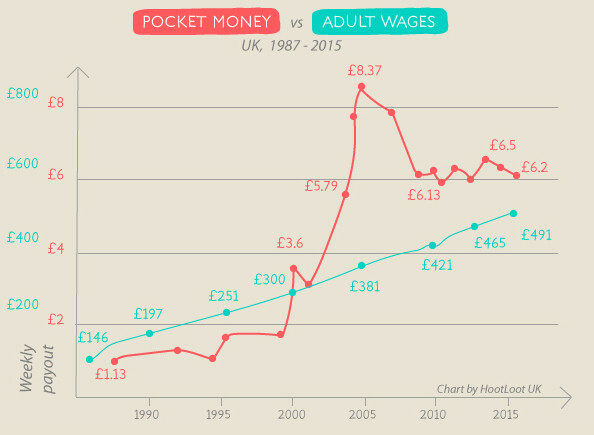 The pocket money gender gap has got much wider, up from only 2% last year, as the amount parents give their children hit a nine-year high in 2015. Not only are boys getting more money than girls, they’re more likely to persistently ask for more from their parents. Girls, on the other hand, were less likely to demand an increase. Almost half of boys (44%) thought their parents should give them a pocket money rise, compared to less than 40% of girls. “Just like in the modern workplace, I suspect there is an element of ‘if you don’t ask, you don’t get’ as some little girls are probably too nice to ask for more,” said Lindsey Cook, co-founder of consumer website Money Fight Club in an interview with the Financial Times. 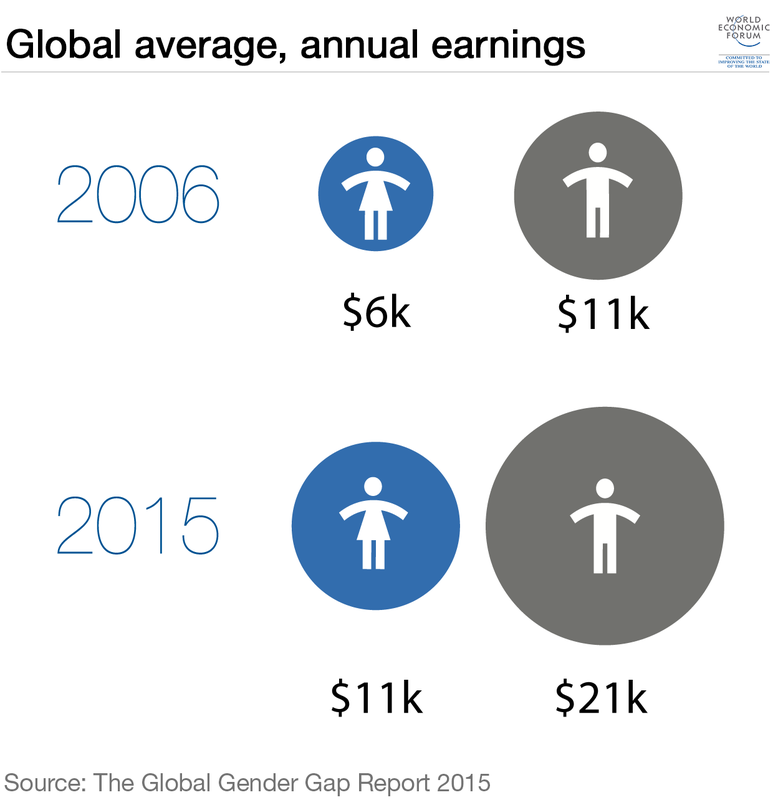 The World Economic Forum’s Global Gender Gap Report 2015 shows that globally, women are still paid on average just above half the average male wage. This isn’t the first time a gender gap has been found in the way parents treat children. Speaking at Davos 2016, Sheryl Sandberg discussed the idea of a “toddler wage gap” . She explained that boys tend to be given chores such as taking out the garbage, while girls do the washing up. She also pointed out that boys’ tasks often take less time and that they are given bigger allowances. “We start out in our homes with these very different expectations, and the time spent on these tasks is incredibly important," she said. Sandberg highlights how even as children, girls and boys have different expectations placed on them, and may behave differently because of this gender stereotyping. Stereotyping begins before children are even able to speak a recent study has found . Adults attribute degrees of femininity and masculinity to babies based on the pitch of their cries, despite science finding no gender difference in babies’ cries. Does gender stereotyping begin in the cradle?